We are offering wide range of EOT Crane Rails for Railway Industry. This crane is manufactured using excellent quality raw materials and latest technology by our skilled professionals. Fabricated using alloy steel as per the set industry regulations, these cranes are delivered with safety assurance and efficient performance. 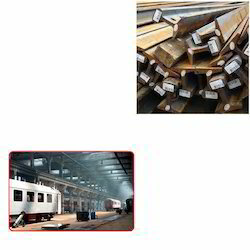 Looking for EOT Crane Rails for Railway Industry ?